Bone sarcoma, tumour niche and metastastic process. Dominique Heymann completed his PhD at the University of Nantes (France) in 1995. In 2001 he was Associate Professor at the University Hospital of Nantes before being promoted to Professor in 2009 to Chair the Department of Histology and Embryology. He has created with colleagues and headed the INSERM reseach unit (UMR957) named ‘Pathophysiology of bone resorption and therapy of primary bone tumours’ at the University of Nantes. 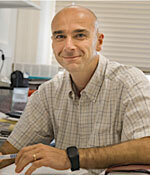 He has contributed to the national INSERM Scientific Advisory Board and Co-Chairs the INSERM Scientific Committee n°5. He recently joined the Department of Oncology and Metabolism where he was appointed Professor of Bone Oncology. Dominique’s research interests focus on the pathogenesis of bone sarcoma and include a better understanding of the role of tumour microenvironment (osteoclast, osteoblast, macrophages, blood vessels, cytokines, etc.) 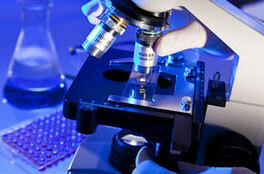 in the primary tumour growth and in the metastatic process and the development of new therapies. An additional interest concerns the isolation of rare cell events (cancer stem cells, circulating tumour cells) for developing personalized medicine. 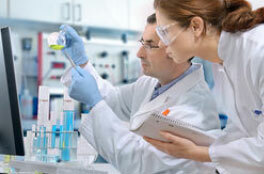 His work has developed in strong collaboration with numerous colleagues of the University inside and outside the Department of Oncology and Metabolism (Sheffield : Dept of Chemistry, Insigneo, Clinical Trial Center, Hallamshire Hospital; Birmingham, Newcastle, London, etc), in Europe (France, Finland, Spain), in the USA and in Japan. His work is supported by the University of Sheffield and by the Bone Cancer Research Trust. He is Associate Editor of Life Sciences, Academic editor of PLoS ONE and participates to the Editorial Board of Current Medicine Chemistry, European Journal of Pharmacology, Journal of Bone Oncology, Letters in Drug Design & Discovery and BoneKEy Reports.